What Makes American Patriot Getaways Different? Take advantage of our limited time promotion!! Up to $1,000 in savings! All set-up fees will be waived for any cabin that signs up during this limited time promotion. Just another way we are trying to help you increase your revenue without draining your bank account. Please call Matthew Naas, General Manager, at 1-866-367-4838 ext. 2040 or email me at matt@patriotgetaways.com to discuss your cabin and our management program or click here to fill out our online form. Let us show you how we can increase your revenue while decreasing your expenses today! We'll guaranty to meet or exceed your future bookings, or we will pay the difference! 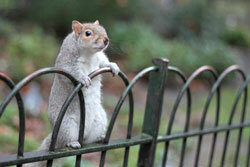 Are you on the fence about finding a better rental management company? Is worry over losing your home's future bookings holding you back? With our No Risk Switch Guarantee we guaranty to match or exceed your future bookings, or we will pay you the difference! 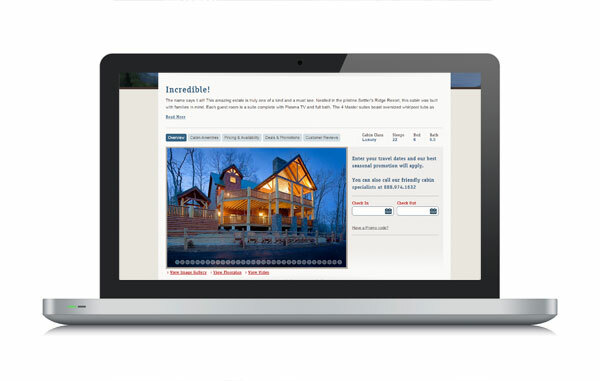 At American Patriot Getaways, we are confident in our ability to successfully market your vacation home. Our commitment to protecting our homeowner's income is not just our company’s culture, it is also 100% guaranteed. Just send us a printed schedule of your bookings when you enroll. You never have to worry about a "slow start" when choosing to partner with American Patriot Getaways. To find out more contact Matthew Naas, GM by email at matt@patriotgetaways.com, or by phone at (865) 774-5545 ext. 2040. You'll find the business partner you deserve in American Patriot Getaways. We don't use gimmicks or false promises to recruit new homeowners. At American Patriot Getaways we let our rental numbers and reputation do the talking. Over the years we've seen a lot of rental companies and their recruitment gimmicks come and go, only to leave their homeowners in a pinch. American Patriot Getaways is here to stay. We forge our reputation through personal relationships and service to both our homeowners and guests. As a cabin owner I would recommend APG! Love the monthly newsletter! Also love that I can check monthly income! Quick response to owner and tenant issues! I truly feel like a partner in our investment and not a pesky owner! Patriot Getaways have managed my Cabin since the day I bought it. They are very efficient and keep me informed if anything needs doing they are also quick to get any issues sorted out. Their website is Owner friendly. My Cabin is booked 90% of the time and the housekeeping is excellent. 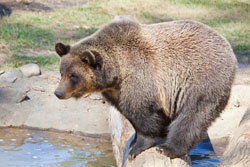 APG keeps our large cabin filled with guests. The cleaning staff do a great job letting us know if there are any problems at the cabin. Since we are not local owners, APG takes care of those problems efficiently and cost effectively. At one point, I did not visit the cabin for over six months. I was so pleased with the condition of the cabin when I did visit. APG operates in the way all companies should. In my years as a cabin owner with APG, Matt Naas has never lied to me or fudged the truth. When I press him for his opinion of future financial performance, he has always answered conservatively and exceeded my expectations in practice. Thank you Matt and APG. As a cabin owner and a partner with American Patriot Getaways for almost 10 years. We are very pleased and satisfied with the attention and overseeing of our cabin. We are especially satisfied and grateful with Matt, Summer and their office staff in resolving any issues that arises. They really have treated us like family and we would highly recommend them. We just want to take this time to say THANK YOU again to APG for making our dreams come true. A Very professional and caring organization. Always willing to help and takes care of our cabin like it was their own. Really appreciate the way they handle any problems that might occur with our property under their care. Thank you for all your help for the last 4 years. I can't say enough nice things about APG. They truly have surpassed all our expectations as a caring, professional rental company. I just want to say thank you for all the help and support during our first year as cabin owners. I know my constant emails probably make you cringe when you see my name but with this being a whole new venture for us, there was some nervousness. I truly appreciate all the support you and your teams have provided. I promise fewer questions and emails in 2018. If you had told me we'd book 242 nights in the first year I'd probably have raised an eyebrow but that's what we did, essentially from March 1st thru December 31st (9 days in January and zero in February). We love how the cabin is turning out, two more renovation projects planned for next year 1) Updating the upstairs bathroom with a new "live edge vanity, vessel sink and faucet set, powerflush toilet and shower fixtures. 2) Installing stairs down to the crawl space, making it safer for the maintenance people when they need to get down there and fix something. I know the cabin is probably a bit harder to rent because of the lack of the traditional game room loft and we appreciate all your efforts in getting it booked. Thank you again for all your help, it's truly appreciated. Have a Merry Christmas and a Happy New Year! I have had the pleasure of working with American Patriot Getaways (APG) as my 'managing company' for my cabin rental property for 11 years. I have only used them because they have never let me down in 'doing the right thing' not only for me as the owner in mind, but for our guests as well. They run a very good operation. Their communication and response to the owners’ needs and our guests needs places them at the highest level of service in my experience. There are a lot of cabin and log home management companies out there, I know I have seen them come and go. Luring owners with low rates, only to change their fees and their services down the road. If you give APG a try, I doubt you will be disappointed. We have 4 cabins on the Patriot Getaways Management Program and could not be more pleased with our partnership with them on managing the properties for us. I am a pretty active owner and value the relationship we have developed with the General Manager, Matt Naas, and his quick and pertinent responses to us. They always consider any suggestions or recommendations I may have and we feel like we are working together to make our properties the best they can be for our mutual benefit. I know they spent a lot of effort in updating their website recently and it came out great, even incorporating a couple suggestions we had to offer. I think is the best and easiest to use in the industry now. They are also upfront taking care of the properties when there is a cold snap to minimize the potential for the cabins freezing up followed by water damage when it thaws. If I want to do some upgrades to the cabins they are quick to offer help and suggestions. Matt has built many cabins and owns some himself in addition to being General Manager for Patriot Getaways, so is a great resource to have available. I have had cabins in the Pigeon Forge area for many years, and have used many different companies as a result of companies being acquired, going out of business, or just plain doing a bad job. I researched Patriot, and was impressed by the marketing abilities and consistent rental results, as well as the personal service in spite of the size of the company. Patriot has far and away been the best of the bunch. From the first month Patriot has managed my cabins, the results have been just outstanding. Since switching to American Patriot Getaways a few years ago after being with another local cabin rental company, we have been truly amazed at the difference in quality and level of service. 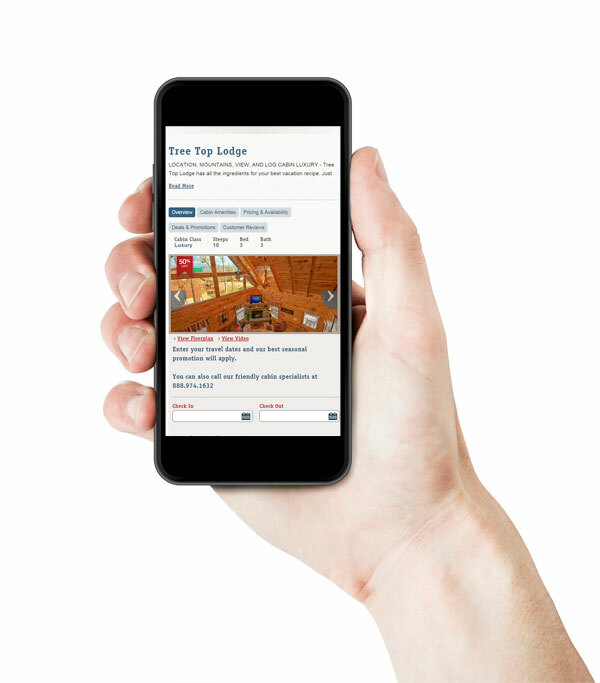 Our monthly cabin rental income has increased, as well as our bottom line, due the way APG structures their commission percentage, cleaning fees, credit card fees, and service calls. Matt Naas, general manager, is always available and very accommodating, as well as his staff. James, Summer, and many others have always been friendly and eager to help resolve any situation that may arise with a guest or our cabin. Our partnership with APG has been the best decision we have ever made and our relationship gets better every month. APG really cares about us and our cabin while constantly striving to improve on every aspect of what they do best...provide quality cabin rentals to their guests at a fair price with outstanding customer service. In 2002, I purchased my first rental property in the Gatlinburg area, and boy we were glad we chose American Patriot Getaways. From the beginning, everything has been smooth sailing. We are now on our third property, 5 Star View, and our revenue is more than ever expected! When we visit our property on the spur of the moment, it is in tip-top shape. Communication regarding maintenance issues are handled quickly and economically, further adding to our bottom line. If it weren't for Matt Naas and his staff, we would be out of the overnight rental cabin business. Exceptional, that is all we can say! We have had our cabin under American Patriot Getaways management for over 7 years and it has been a wonderful experience. I would not ever think of putting our cabin in the hands of another company. 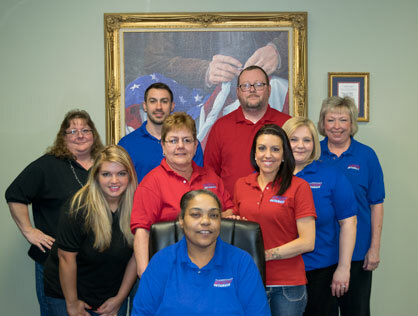 The team at Patriot Getaways is always friendly, responsive and professional. Over the years we have had numerous problems at our cabin ranging from bad tenants to needed upgrades. In each instance the staff of Patriot Getaways has taken charge and handled our requests to our satisfaction. Patriot Getaways is the only company we have dealt with that affords us the ability to call, text or e-mail when trying to contact someone. We always get a friendly response in a timely manner and our questions have always been handled to our satisfaction. In one instance a group of tenants caused some damage to our property. Patriot Getaways notified us of what had taken place, charged the tenants and took care of getting the repairs done. Everything was done for us and at no cost to us. At one point we decided to have some upgrades done to our cabin. We notified Patriot Getaways of what we wanted done and asked if they could help. The staff found us a contractor, took care of scheduling so the contractor could get us an estimate and took care of scheduling time to have the upgrades done. Once the work was complete we received pictures from the contractor but they weren’t very good. Patriot Getaways went out and took more pictures for us so we could see exactly what was done. American Patriot Getaways continues to provide top notch personal service and an amazing rental program. Since coming here our rental income has gone up 25% per year. Their maintenance program is also top notch and continues to save us money with their monthly maintenance fee program. Never again arrive to find your cabin dirty and unkempt. Our housekeeping team includes the most practiced and qualified cleaners in the Smoky Mountains. We conduct housekeeping inspections regularly and bonus and penalize housekeepers based on their performance. We accept nothing but the best from our housekeeping staff! Each home we manage is assigned a regular housekeeper. Assigning a regular housekeeper to each property not only allows us to monitor performance, but also serves to keep the most familiar set of eyes on your property. Housekeeping crews are trained to find guest damage, rearranged furniture, and are well versed in taking care of any special needs your home may have. Our Reservation department is staffed with professionally trained reservationists. We don't ask our reservationists to multitask. Our office in Pigeon Forge takes care of all guest relations so our reservation staff can focus on what they do best – BOOKING YOUR PROPERTY!! Our proven system generates twice the national average of reservations booked per phone call taken. 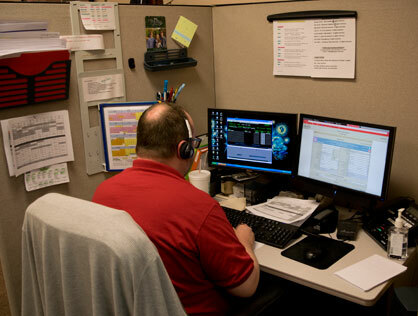 We employ unique computer and phone systems to keep technology on our Partners' side. We can't give you all our secrets, but rest assured our state of the art reservation department is unrivaled in our market. 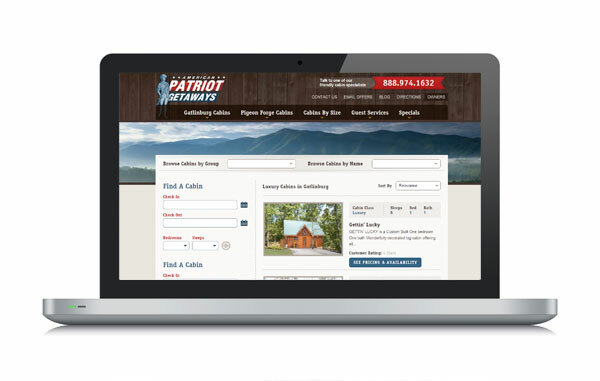 Log in to your secure "Owner's" page at patriotgetaways.com to keep track of all future, past and current revenue by month. You can also track all your expenses! Our staff takes great pride in keeping our partner owners well informed. We give homeowners all the same information we have! Just log into your Owner’s page to review our staff’s internal notes. We show homeowners all the same information we have including why, when, who, and where service was requested. If that request requires the services of a maintenance professional for repair - then we even scan in a copy of that invoice. You can print it right from your Owner’s page! We don’t mind showing homeowners all the dirty details, because American Patriot Getaways does not mark-up contractor invoices, or hide from our responsibility to handle guest damage. APG does not profit from cabin maintenance! 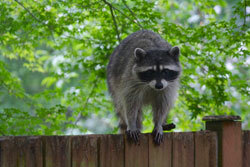 Rather, we leverage our sizable purchasing power to secure the best service at the best prices for our Homeowner Partners on everything from pest control & lawn care, to specialty cabin service! Our company's credo ’Creating Guests for Life by Providing the Experience of a Lifetime for our Guests‘ is what we live by at APG. We work hard every day to provide the best possible vacation experience for our guests and our online guest reviews show it! In a market where repeat visitation is incredibly important for long term rental success, American Patriot Getaways is unequaled in guest satisfaction. Just go online for yourself, and and check out how our reviews compare to the competition. Google Reviews, Knoxville BBB, Yahoo Travel, Facebook.com, and Trust Pilot are just a few of the places you can find guests spreading the good word about American Patriot Getaways! American Patriot Getaways has the best marketing exposure for your property! 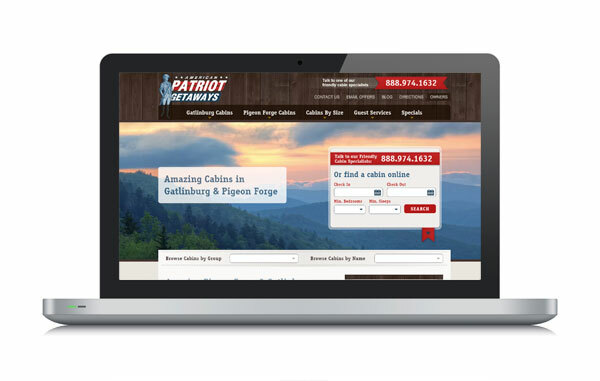 From magazine, radio, and tv ads - to our sponsorship of the SEC tournament - to our dominant Internet Presence – nobody does it better than American Patriot Getaways. We maintain a top presence in all the major search engines guaranteeing our homeowners premium exposure for their properties. Additionally, our in-house marketing experts operate a myriad of advertising platforms, landing pages, and search tools to maintain the best internet presence in our market. Better marketing = Better income. We also partner with a variety of secondary advertisers, many of which you might of already heard of, including Flip key / Trip Advisor, Gatlinburg.com, VisitmySmokies.com, myPigeonForge.com, Resort and Lodges, and many, many more. We spend the money on advertising other rental agencies won't. Even though we maintain an advertising program at the top of our field - We are never satisfied! In an ever-changing market, we constantly work to explore, implement, and test new and exciting advertising tools and venues each year. Our work here is never done, but our homeowners can rest assured that our team is always laboring to stay at the cutting edge with our marketing efforts. Are you tired of your emails and phone calls never being returned? At American Patriot Getaways you will be treated like a partner should be. Our staff is guaranteed to be available to you as a homeowner. You will find our managers' contact information right here on this site. Our owners are privy to all our managers' contact information including their cell phone - just as a business partner should be. All communications are promptly returned and, although everyone occasionally gets a day off, we do our best to respond to any inquiries in real time. Tired of wondering when your rental revenue check will show up? American Patriot Getaways has never missed or delayed a monthly owner payment. Rental Revenue is paid to our homeowners each and every month on or before the 15th for the previous month’s rentals. In addition to each homeowner having a secure owner's page to access at their leisure, our homeowners also receive a paper statement each month detailing revenue and expenses. Funds are transferred by paper check included with the monthly statement or homeowners have the option of setting up direct deposit. You can count on the reliability of American Patriot Getaways. We know we're partial, but take a look and see for yourself - American Patriot Getaways has the best website in the business! 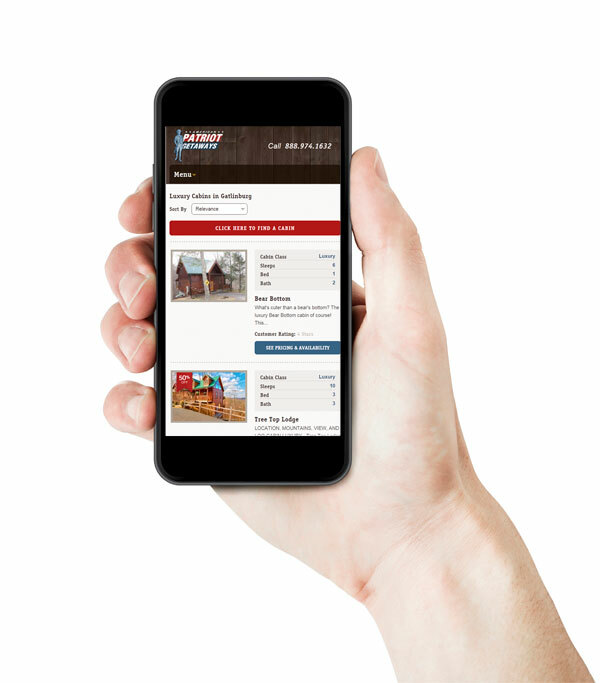 Our updated website’s easy navigation and booking processes make guests' shopping experience better than ever. Property listings include photos, floor plan with furniture layout, complete amenity list, property ranking, real guest feedback, and for many – video walk thru tours. 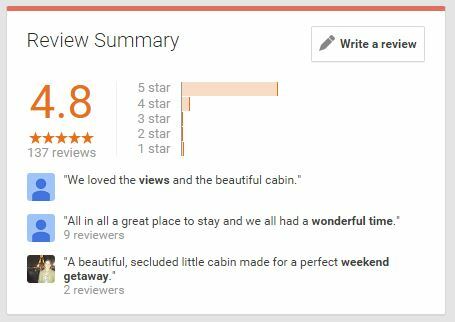 Part of our exemplary guest satisfaction ratings come from making sure we match the right guest with the right cabin for that guest's vacation. Take a minute to tour our site at www.patriotgetaways.com. 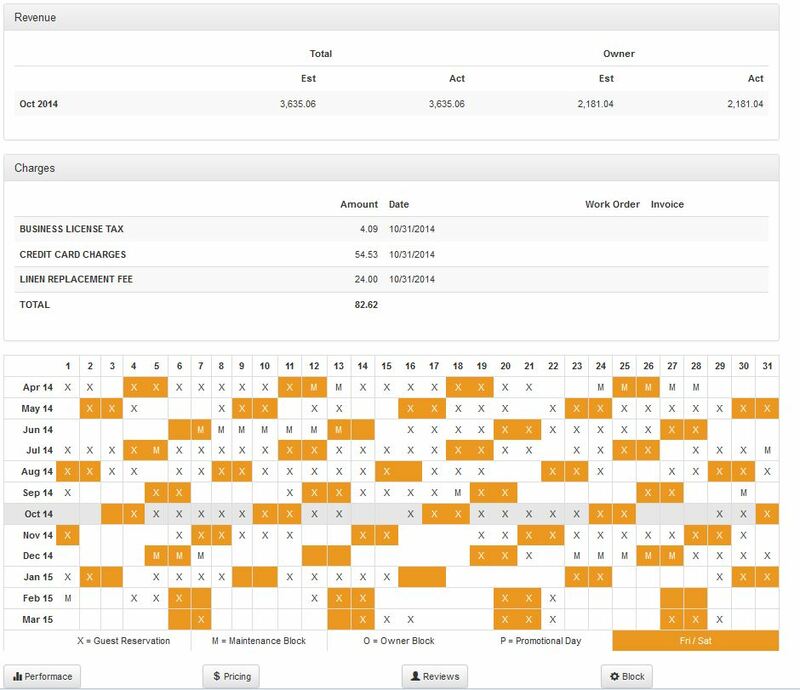 Searches rotate hourly so all properties get fair exposure. You can search our site by any number of criteria to help narrow your search. For guests who would rather call-in, our talented reservationists are always standing by to answer phone calls or web chat inquiries. See for yourself why American Patriot Getaways' website is ’the best in the biz‘! We don't give up the first time! 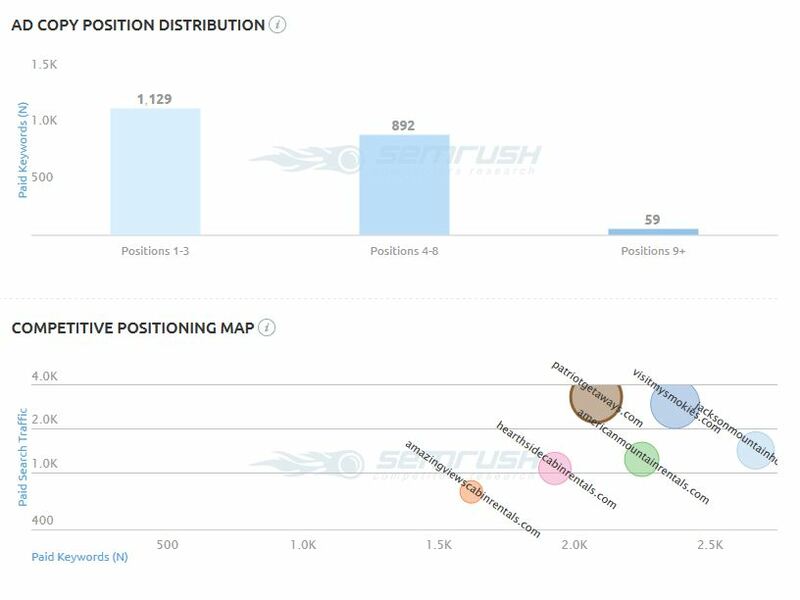 Our technologies' track and rank leads, and our staff follows up on them. 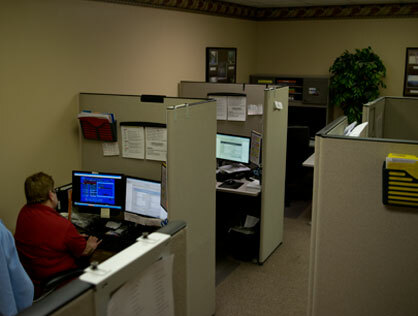 We work hard to convert every call into dollars for you. Customize your cabin's, maintenance, lawn care, pest control, marketing and more! We have a variety of marketing programs to choose from and can attack your property's individual marketing on our site from a variety of angles. Manage your maintenance expenses by enrolling in the maintenance plan that best suits your travel habits and your property's needs. Choose from several maintenance programs including some with maintenance inspection service, we even offer plans that fix your monthly maintenance costs!! Enroll in our Direct Deposit Program and we'll automatically deposit your property's revenue each month. You will still receive a paper statement in the mail for your records, even if you enroll. No Hidden Charges. Keep more money in your pocket! We don't charge homeowners for frivolous maintenance, ticket, advertising, or hot tub cleaning fees for each reservation. Our security Deposit Waiver Program protects both guests and homeowners with up to $3,000 coverage per reservation for unintentional guest damage. Don't let guest damage eat a hole in your wallet. Now with American Patriot Getaways you're covered! Tired of losing reservations to winter weather? American Patriot Getaways now offers travel insurance. Travel insurance helps to protect our homeowners from lost reservations due to snowy roads and winter conditions. When a guest has travel insurance, but can't get to your cabin due to winter road conditions, you can still be paid for those nights! When a guest purchases travel insurance, you never have to worry about that pending snow storm again. You'll know your revenue is protected. Now is the time to give serious consideration in partnering with American Patriot Getaways. Let us show you how we can maximize the revenue for your investment property.